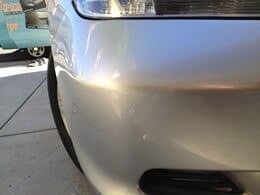 At Front Range Bumper Solutions, while our name may suggest we only service your bumper, we are excited to share that we actually do much more than that. 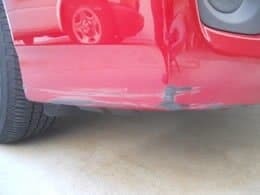 From bumpers to fenders, to doors and rear hatches, we can make small damage disappear. Not only that, but we can also service a wide variety of damage types. Here’s a breakdown of what we can repair so you can make sure to give us a call. 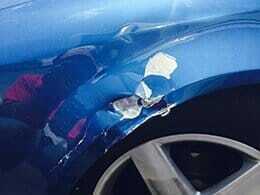 You may have incurred a scratch, scrape, or scuff in a parking lot with a grocery cart. Maybe you accidentally turned into a parking spot too wide and scraped off some paint on a door. 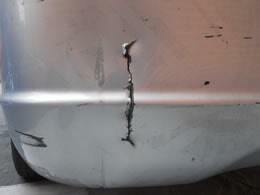 This kind of damage can even be caused by going over a curb. 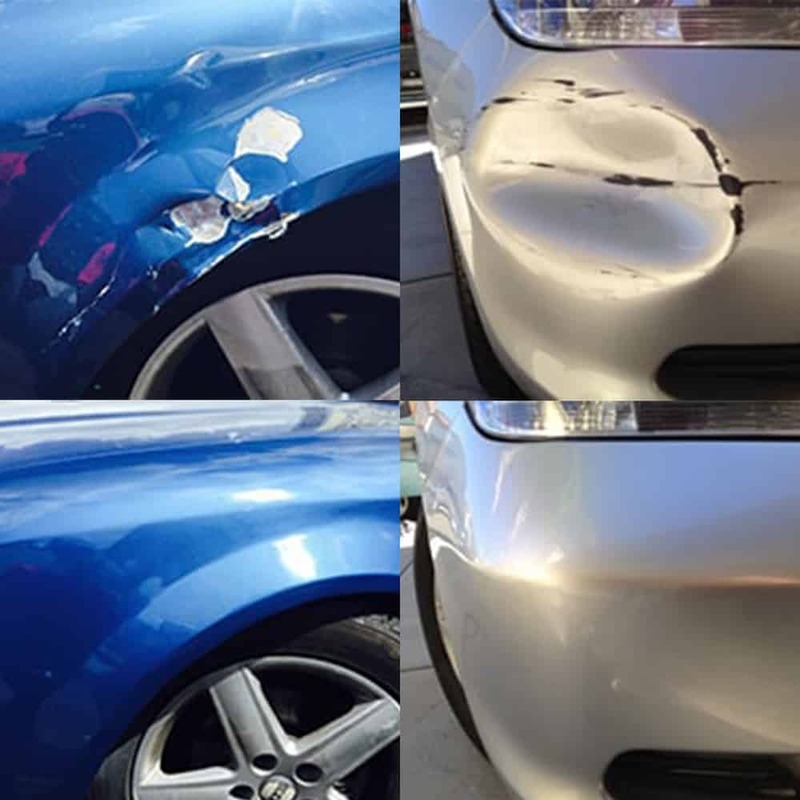 This paint damage is often 100% repairable, which means you don’t need to drive around feeling ashamed. With a little cleaning, sanding, and smoothing you can be out on the road in no time. 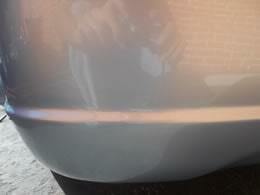 Dents are often caused by backing into something or being rear-ended. 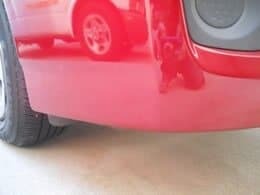 No matter how you ended up with a dented bumper on your car, you don’t want to be driving around with it for very long. Luckily for you, bumper plastic is often easily fixed. Typically, all that’s needed is a simple popping back into the original form with some paint, and it’s as good as new. If you accidentally back into something that’s sharper than a light pole, you might end up with punctures and holes in your bumper. Unfortunately, punctures tend to look worse than a minor scratch might, but that doesn’t mean it’s not repairable. We go in to trim any edges that might protrude outwards before sanding and patch up the hole with plastic filler. When everything is dry, sanded, and painted, the hole will be gone, and it’ll be as if the puncture never happened. It can be a frustration to see a car door scratch and knowing some kid threw their door open onto it. You can be annoyed that someone wasn’t looking in the Target parking lot and just ran right into your fender. 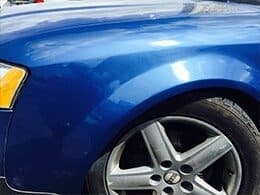 While a body shop will say they need to take the entire door off to repair it or keep it for a few days, it is possible to us to repair damage like this through our mobile auto body repair. You don’t have to call your insurance or go to the big guys asking for thousands of dollars. We can make it right for you in a couple hours, hands down. 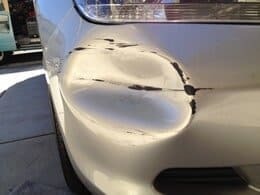 No matter what kind of bumper damage you’ve experienced, Front Range Bumper Solutions has been trained to help. We offer our mobile repairs for all of the above issues so that you can drive damage free again without burning a hole in your pocket. If you’re a Colorado Springs resident make sure to give us a call at (719) 896-2530. If you’re located in the Denver area, you can reach us at (720) 222-5044!